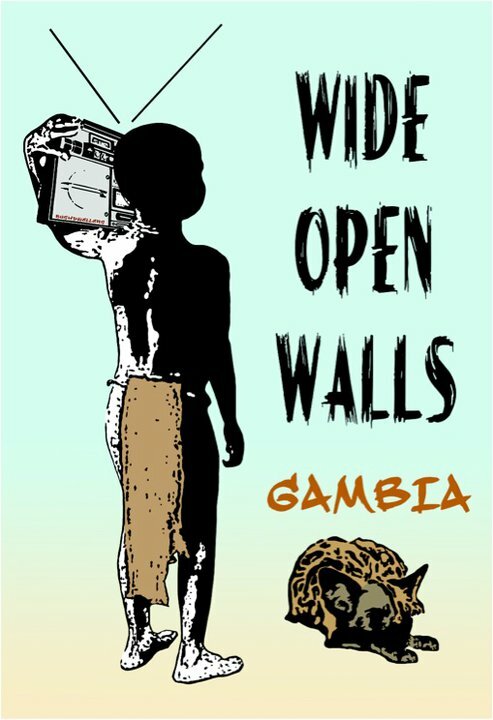 Were going to WRITE ON GAMBIA! This year our immediate goals we will be taking art supplies to the village and leave these with the schools. We will be running workshops to introduce the kids to various mediums. On day one we will we will start the trip off with a mural painting workshop at the local school and with all the artist painting the classrooms. A case study, will be compiled by Film maker,Photographer and Anthropologist,Sydelle Willow Smith who will come along to Gmabia,we will then supply information to RJ Rushmore,founder of street art website Vandalog for an external review and synopsis, We hope this information will then inspire more like minded projects around the world. This year we will create a video documentary ,we will interview the villagers and document there reactions and tell their stories. We will also create an exhibition/fundraiser and sell photographs of the artwork to raise funds for the Village which will be distibuted through a local NGO for the villages basic needs. A small book packaged with documentary dvd will be published to be sold and raise further funds. WOW, will then take place again in October 2011 with a all new artist line up.